Search for the official account of a famous brand on WeChat, and you might be in for a surprise. 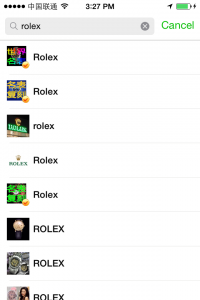 There are close to one hundred accounts that use the name “Rolex”, for example, and more than one of them appears to be verified. How is a user to tell them apart? What if it’s your brand with dozens of copycat accounts showing up? How can you direct users to the right one? 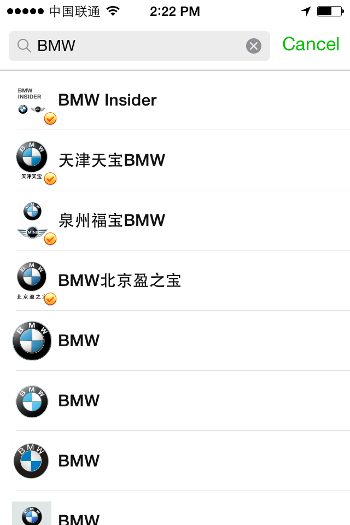 A little bit of looking under the hood is all it takes to figure out that many of these BMW official accounts likely have no official affiliation with the brand. 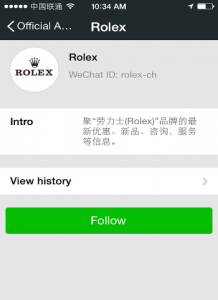 There is formal process to both register and verify your WeChat official account, but there is still room for fraud. While examples of trademark infringement by verified WeChat official accounts are less frequent, they still exist. 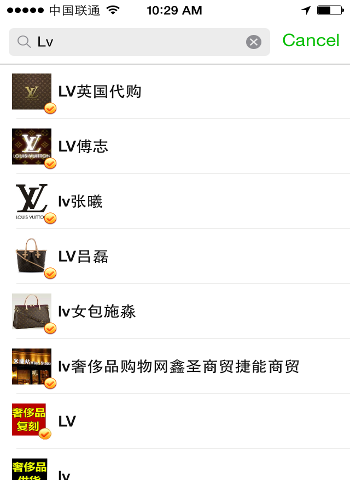 These official accounts are claiming to be Louis Vuitton, but they are actually gray-market import services. 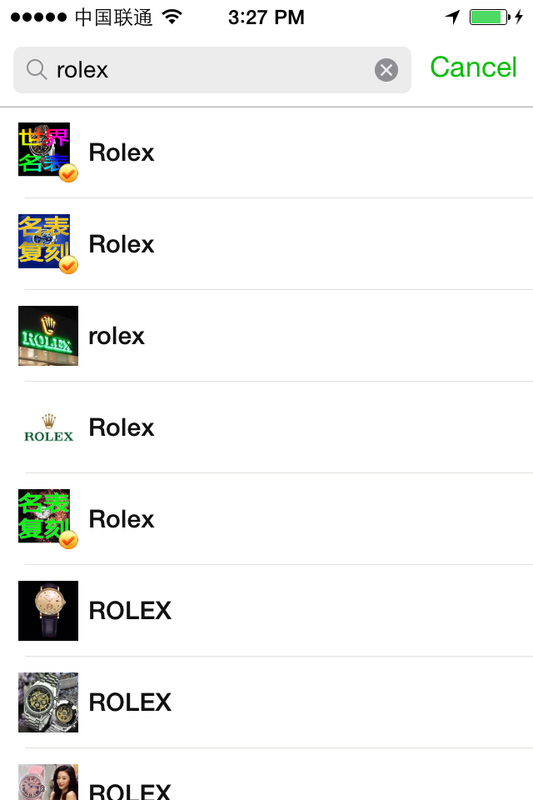 Most of the accounts even have the gold checkmark on their logo, meaning they are verified. 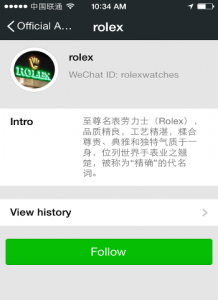 If we look at their account page, we see that they did their verification through Tencent Weibo (a Twitter-like service also owned by WeChat’s parent company). 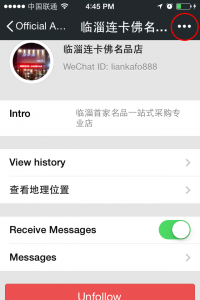 Unlike WeChat, individuals can verify Weibo accounts, and with little more documentation than an ID card and a mobile phone number. 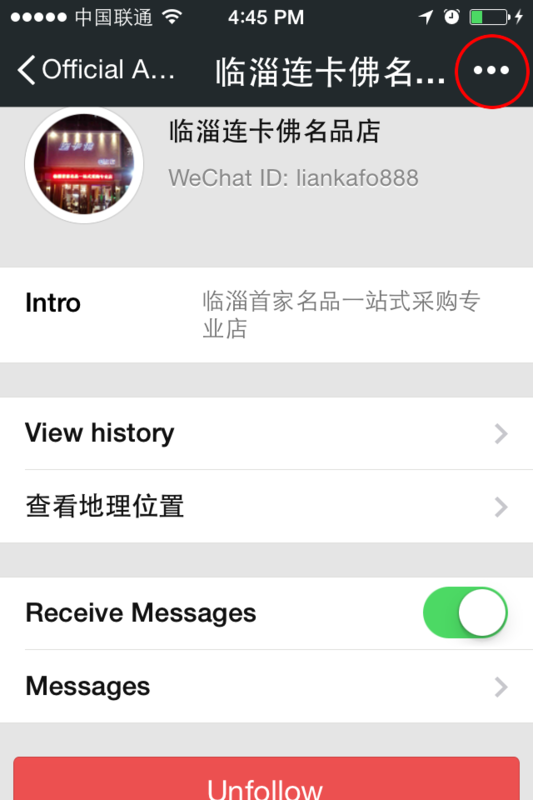 Once that Weibo user links their verified Weibo account to their WeChat official account, the account looks and behaves like a verified WeChat official account. This is important because verified accounts are given preferential sorting in search results, as we see in the image above. 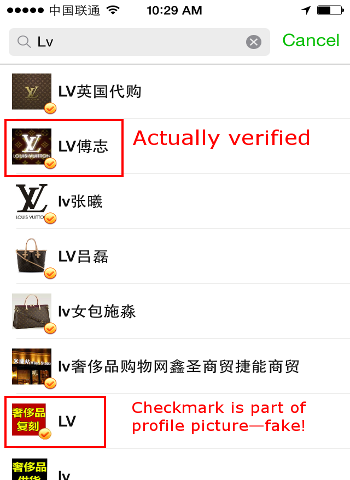 Another funny thing we see with these search results for Louis Vuitton is that some accounts are even spoofing the gold verified checkmark by adding it themselves into their logo. Very clever indeed! Once you’ve spotted someone violating your trademark, follow the account by selecting it from the search list and following it. 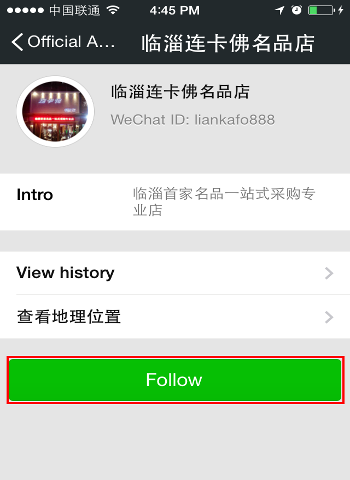 From their account profile page, select “Report” from the menu in the top-right corner. You’ll be given a menu with reasons to choose from. Make a selection and tap the “Send” button in the top right corner. Please let us know what results you have in the comments section. We would assume that the more accounts that report violations, the faster you will see resolution. Good luck!